​Hrishikesh Parthasarathy is Vice President (Impact) for Azim Premji Philanthropic Initiatives (APPI). His team looks at multiple aspects of impact assessments for APPI, including learning, strengthening program design, building evidence and working with partners to think through their impact. 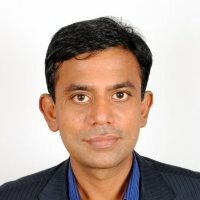 In a career of 20 years, Hrishi spent 12 years with Microsoft India, primarily focused around building and scaling partner engagements and alliances - his area of primary expertise. Hrishi is a qualified Chartered Accountant.